As a child, I only knew the fake, white plastic Christmas tree that my mother had purchased years before. Usually the first week of December, the box would be brought in from the garage and I would help assemble and decorate the tree. As an adult I gave up the fake white tree and opted for the experience of a fresh tree every year. Now, the first week in December is usually when we go out and look for a fresh tree. 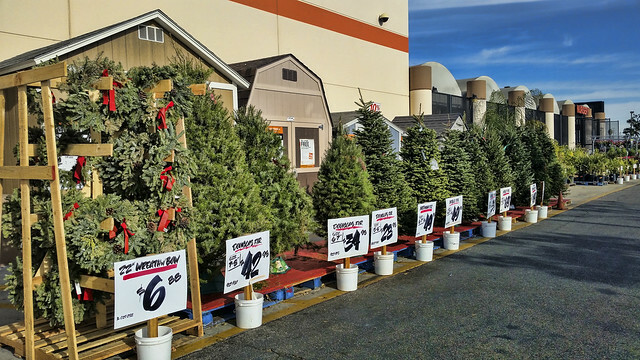 Whether you prefer Douglas or Nobel Fir, Home Depot was ready today for the fresh tree buyer.